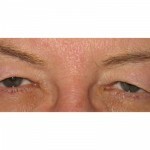 Ptosis is a condition in which one or both of the eyelids descend or droop, often as a result of normal aging. Ptosis can exist concordantly with excess eyelid skin, another condition known as dermatochalasis. These conditions can be severe enough to affect a person’s vision and quality of life. Fortunately, ptosis can be addressed with an outpatient surgical procedure in which the muscles that elevate the upper eyelid are strengthened. This provides better elevation of the eyelids while preserving their normal function and architecture. Medical insurance may or may not cover this procedure based on the severity of the functional visual impairment. Your doctor may wish to obtain additional testing, such as photographs and a visual field, in order to determine whether or not medical insurance will allow coverage for your surgery. Dermatochalasis is a condition in which the thin layers of skin, muscle, and fat in the upper eyelid can sag over time. It may exist independent from or in conjunction with ptosis, a drooping of the eyelid margin itself. 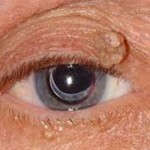 The excess skin that develops can often be severe enough to affect a person’s vision. Dermatochalasis can be addressed with an outpatient surgical procedure called an upper blepharoplasty in which excess skin, muscle, and fat may be removed or repositioned in order to achieve a tightening effect while preserving the normal function of the eyelid. Medical insurance may or may not cover this procedure based on the severity of the functional visual impairment. Your doctor may wish to obtain additional testing, such as photographs and a visual field, in order to determine whether or not medical insurance will allow coverage for your surgery. Lower eyelid bags develop from inferior orbital fat prolapse and are often a normal consequence of aging. Fat that was previously held behind the eyes by a structure known as the orbital septum gradually begins to work its way forward, creating outpouchings that people often describe as bags under the eyes. This condition can be addressed with an outpatient surgical procedure in which eyelid fat and sometimes skin are removed and/or repositioned. The incisions can oftentimes be made on the back surface of the eyelids. This is almost always considered to be a cosmetic procedure and therefore is not typically covered by medical insurance. 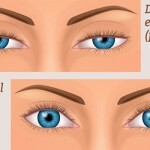 Chalazia and hordeola are small, inflamed bumps on the eyelid or eyelid margin. The two condition are separate entities but can oftentimes be treated the same way. Sometimes they will respond to conservative management with warm compress and prescription ointments. Often, however, a small surgical procedure will need to be performed in order to achieve resolution. This can generally be performed in an office setting with a very short recovery time. There are many types of bumps and growths that can appear on the eyelids as we age. Generally, these are benign (non-cancerous) lesions that can be removed with a simple in-office procedure. However, these bumps can occasionally be skin cancers that will require larger excision margins and delicate eyelid reconstructions. It is important to notify Dr. Hertzog about any eyelid lesions as they may need to be monitored or biopsied in order to determine if they represent skin cancer. 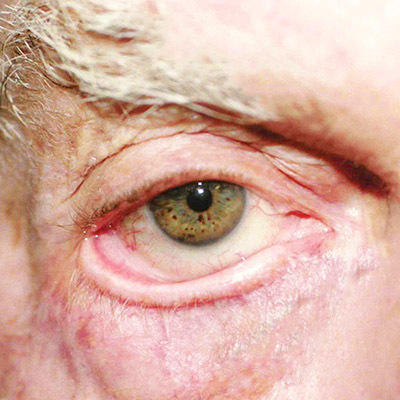 Ectropion and Entropion are conditions in which the eyelid margin can sag and subsequently rotate outward or inward. Dry / inflamed inner eyelid tissue or even misdirected eyelashes can subsequently irritate the eye. These conditions can be be treated with outpatient surgeries that tighten and rotate the lower eyelid back into its normal anatomic position.